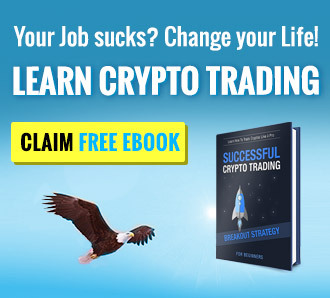 LocalBitcoins.com Review 2019 – Scam or Not? LocalBitcoins is the largest peer-to-peer service which helps to match Bitcoin buyers and sellers who live close to each other, enabling face-to-face and online transactions. The platform also provides an escrow service which is used to ensure fairness of every transaction made by the users. The company is one of the oldest exchanges in the industry, founded in 2012 by Jeremiah Kangas, a programmer, and entrepreneur. Currently, it operates in 248 countries and 13774 cities, with a base in Helsinki, Finland. LocalBitcoins leaves everything to the users and tends to keep things simple. It’s the same with the fees. Simple 1 percent fee is applied to all trades. The seller pays the fee. Of course, standard Bitcoin network fees apply for all transactions. The sellers are free to form their own BTC price, so usually they cover a transaction fee by asking for higher exchange rates. LocalBitcoins also has a reputation system and feedback mechanism to help the members distinguish the legit traders from the scammers. The trading platform also offers an escrow service in order to help establish trust between the parties, and a conflict-resolution service which helps users overcome any misunderstandings. Users are advised to be cautious when trading on LocalBitcoins because it’s possible to get scammed. After all, the deal is made between individuals. Here are a couple of things to keep an eye on when it comes to trading. Do not post ads for buying Bitcoins, because this type of ads usually attracts scammers. Do not choose your seller based solely on the price. The exchange doesn’t support derivates or futures trading. Also, it doesn’t have margin trading, short selling or any other option, because it isn’t the traditional trading platform. LocalBitcoins.com provides well-outlined information, and the entire website is easy to use and spot-on. All the information needed is available in an instant and without any need to navigate to find it. Sign up takes only 20 seconds, and the website is very fast. Nothing but praises for the design. Many users get scammed on LocalBitcoins, primarily due to peer-to-peer interaction. There are many scam reports all over the web, which damaged the reputation of LocalBitcoins. The exchange is still a great place to buy or sell Bitcoins, but it’s user’s responsibility to stay safe and educate itself about the potential dangers of peer-to-peer trading. The trading platform also offers a place for fraud and scam warnings, where users can post about their experiences with other traders. The exchange has a strong security with two-factor authentication, HTTPS encryption, and Login Guard. LocalBitcoins also has a great white hat program for the security researchers, which help the exchange to stand out from the competition. The trading platform has been hacked in 2015. They have SMS and email alerts and the coins placed in Escrow are kept online on the site. The PGP encryption is used for email communication. The LocalBitcoins are the great way to buy Bitcoins if you’re looking to protect your privacy and trade locally. Otherwise, it may be too much of a hassle. Overall great exchange, but might not be the best choice for beginners. Thanks for your comment, has been corrected. Your article is wrong. LocalBitcoins has been hacked. You should update this as you have a responsibility to readers to be ethical and stay up to date. Thank you. This is the best exchange I’ve ever seen for fiat currencies. High security and doesn’t care about politics and sanctions against countries. If you’re a PRO, it’s the best option. If not, stick to the simpler options. Use this site at your own risk. If anything goes wrong then support will do little to help you. Take ages to respond to tickets and have a “Dont Care” attitude. 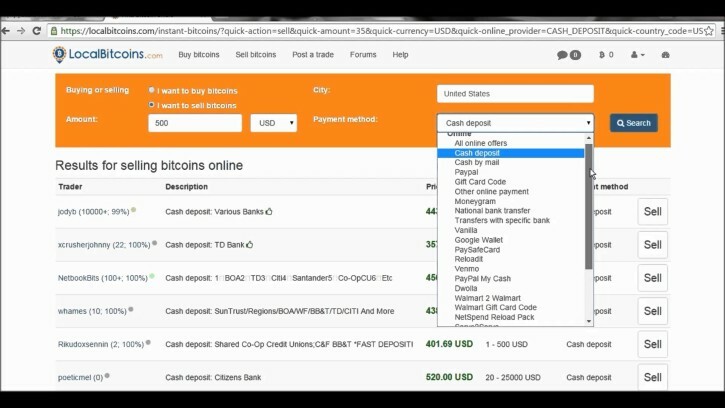 Bought some bitcoin off a scammer from this site who kept my money and told me he never received it. I had to go to the police to get my money back. Reported it to LocalBitcoins who did nothing and resolved the dispute in his favour! Steer cleer of LocalBitcoins, they will not help you if you are scammed. I have a suspended account, because I opened a second lbc.I have written to support severally but the am still not satisfied with the decision.if u like me explain to pls do something about my situation. Few days back my email de*****@yahoo.com was hacked by an unknown person.he change my username and password for login to my account, I could not reset my password.so I wrote to support to help me then they told me the fellow stole my bitcoin and can not be recover but I can recover my account by replying to support with a new email address. They also stated that I can't send a mail unless I use the link.so when I tried doing that password and username was also my issue to reply to support. So I thought I should forfeit the account since its been held my someone else. So I decided to open another account with my Gmail de*****@gmail.com with no intention of fraud or any play just to continue enjoying my trade on localbitcoin.I did all verification no error that I have an account and I can't open another ,everything went successful. I sent my passport page for verification no error message telling me anything about another account. I felt it's done let me buy some bitcoin, I also did that without any error telling me I have an another acct else where. The purchase was successful after few hours I tried to open another trade then I got this error message,you are on a forced holiday …since then support have been telling me the same thing about having two accounts. Localbitcoins are blocking accounts one you complete payments. Beware that this is a scam company. They want to steal your bitcoins. You better use another company but not localbitcoins. I don`t recommend people to use that website. YOU WILL LOSE YOUR BITCOINS. Don’t say you were not told. as said, more details would ne neccessary. Hi Edward Donie – can you give us more details please? They have confiscated my bitcoins by blocking my account. Beware. They blocked my account capriciously. The seller and I completed the transaction though them. They will not let me use the bitcoins that i bought. Their responses are rude.